Arthe Metal – wide range of colors, shades Athe Metal seem to be bright and cheerful, is a strong finish to the modern facilities. The main feature – a significant effect of light which, depending on the angle, creating a feeling of space changes the dynamic. 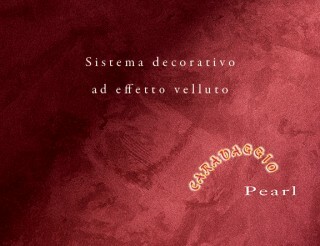 Caravaggio red pearl – result of serious research, allowing you to create a unique effect of velor, velvet exuding gentle fragrance of roses. This product is non-toxic, non-flammable, permeable, prevents fungi and bacteria, is safe for humans and the environment. 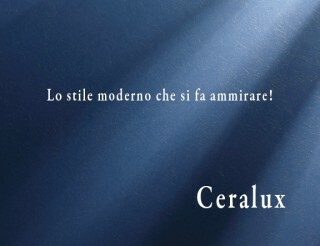 Ceralux – non-toxic wall covering, easy to clean, smells good and does not yellow. Thanks to the elegant decoration you can achieve interesting decorative effects, depending on taste, style and needs of the client. 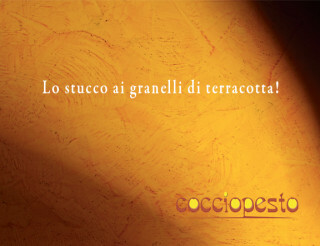 COCCIOPESTO – a natural decorative plaster in the form of the test, obtained through a combination of old recipes and new technologies, making it possible to obtain such speckles dotted marble floor matt finish with special final shadows, obtained thanks to the presence of grains of crushed crock. Caravaggio – the result of serious research, allowing you to create a unique effect of velor, velvet exuding gentle fragrance of roses. This product is non-toxic, non-flammable, permeable, prevents fungi and bacteria, is safe for humans and the environment. Decora – a decorative paint, which allows to obtain special chromatic effects of light and shadow, surface, dotted with typical white flakes, which give the surface a pleasant softness and roughness. Finishing material Decora washable, flame-resistant, vapor permeable, safe for humans and the environment. 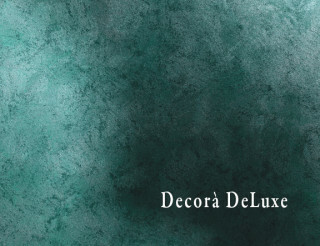 Decora ‘De Luxe – a decorative paint with pearl effect for interior decorating, which is at a maximum ease of application allows you to get great results. In good light the room decoration material creates a special chromatic chiaroscuro, iridescent mother of pearl and exquisite colored flakes. Natural decorative plaster paste, made according to ancient recipes, using new technologies to realize the effect of the coating is slightly distressed, semi marble. It has excellent transpiration, excellent antifungal activity (due to disinfectant properties of lime), it can be applied both on the domestic and on the external surfaces. 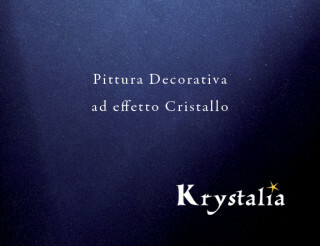 KRYSTALIA: A special acrylic paint with the effect of twinkling crystals, characterized by precious reflections that appear in good light, a feeling of the starry sky. Very easy to apply, it has a wide color gamut. 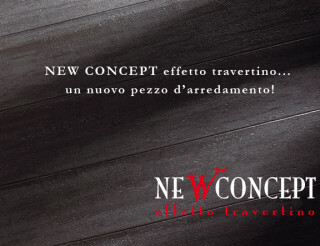 A new decorative material – Unique, Gorgeous, Charming … the first adjectives that are suitable for decorative effect of extraordinary beauty, which has become a real and is an absolute novelty in the decoration of the highest class. 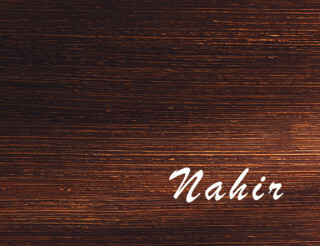 Nahir – tencuiala decorativa, permițându-vă pentru a crea efecte texturale unice. Usor de aplicat si are o moliciune plăcută. Datorită proprietăților sale, acest material de finisare oferă un număr infinit de opțiuni individuale decorare perete. 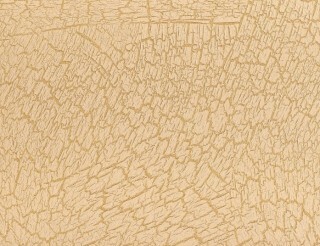 Natural plaster, created based on the traditions of the Venetian masters. Its natural composition guarantees a high vapor permeability and prevents the formation of mold. The elegant top coat, which is characterized by precious metal and reflections sand microns that are released and give a fantastic pearl effect. 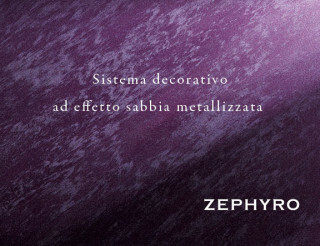 It is also very pleasant to the touch thanks to a special characteristic Zephyro guarantees excellent flexibility during application and create an elegant style. The elegant top coat, which is characterized by precious metal and reflections sand microns that are released and give a fantastic pearl effect. It is also very pleasant to the touch thanks to a special characteristic Zephyr guarantees excellent flexibility during application and create an elegant style. 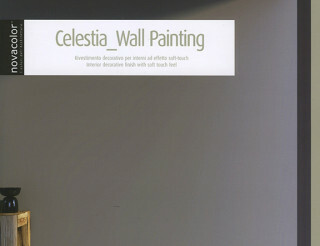 Velatura – Wall is translucent decorative covering for internal and external finishing works. 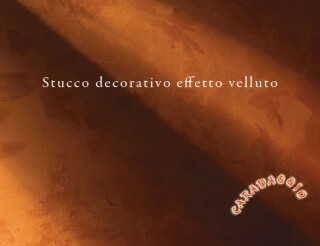 It allows you to create decorative effects antiquity. This finishing material is a topcoat with smooth color transitions, or with the effect of gold and silver patina, giving the walls an extraordinary depth of color. Travertino (Новый Концепт) – натуральная известковая штукатурка позволяющая создать эффект натурального камня травертино, которое благодаря своей прочности, звукопоглощению и высоким декоративным свойством широко использовался архитекторами при строительстве. Paste wax transparent water-based, designed to protect Venice and textured plaster – both synthetic and manufactured on the basis of lime. It gives shine glossy surface of the plaster, washable and improves its water-repellent properties, making the painted surface more uniform. A valuable finish of top class interior decoration, effect FLASH-PEARL. Which allows you to obtain, with a very simple application, a unique “brand” result of extraordinary beauty. ADORE is particularly suitable in environments of modern setting and / or neoclassical where refined elegance is requested, both in public places and private homes. Prestigious finishing of top class decoration for interiors and exteriors oxide effect .It allows you to obtain, with a very easy application, a unique result of extraordinary beauty. 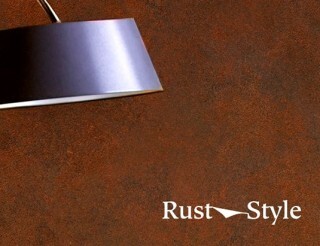 RUST STYLE is particularly suitable in typical modern environments, which require refined elegance, sites both in public places and private homes. 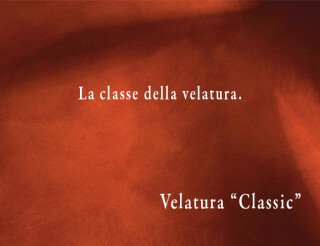 Decorative material Celestia – this thin layer of decorative material from Novacolor with specific tactile properties provided matte “suede” effect on the surface. 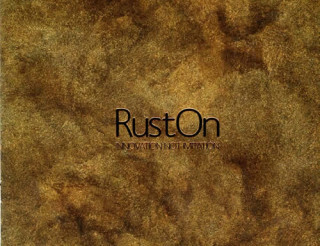 RustOn – a decorative material from the company Novacolor, which is based on a special metallic pigments include mica, iron, which creates original color play of the surface, creating a good, realistic, “the effect of rust”, “patina” or “corrosion”. 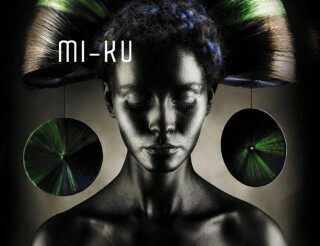 Mi-Ku is a new decorative material for the interior, which is actually a high-quality acrylic stucco, can achieve many decorative effects in different color variations. “Animamundi” – decorative coating with pearl effect matte, which combines lightweight metallic structure and play of silk. 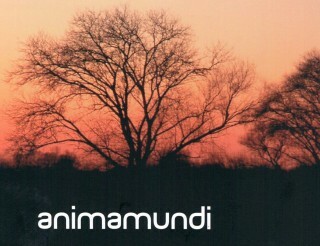 In Animamundi echo the old, filled with harmony and a deep spirituality, traditions and modern trends of art and innovative culture. 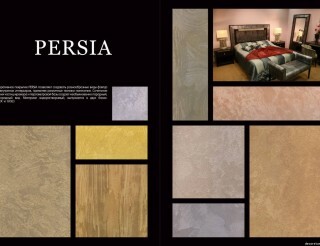 Decorative coating «Persia» allows you to create different types of textures for interiors, using different application techniques. The combination of fine particles of marble and pearlescent base creates an unusually ceremonial, noble appearance. 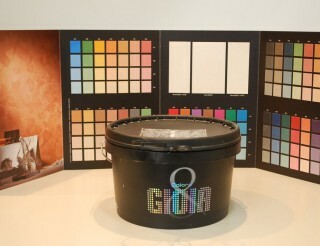 water-soluble material, is available in three bases: SILVER, GOLD and WHITE. Decorative coating CANYON with the effect of natural limestone completely transform your walls, giving them the original texture. The unique coating creates a special sense of depth and naturalness of natural stone cut. Even to the touch, this coating replicates the roughness of the stone that holds the secrets of the ages. Decorative coating “Grotto” with “natural stone effect”, created on the basis of natural lime, is now widely used for the decoration of interiors and facades. This is a unique opportunity to create your own unique interior with a variety of decorative solutions. Decorative coating «Illusion» is a smooth decorative plaster with metallic and pearlescent effects. The originality of this material gives the ability to change color and structure depending on the angle of view, which makes this material original and unique. With metallic and pearlescent effects. The originality of this material gives the ability to change color and structure depending on the angle of view, which makes this material original and unique. 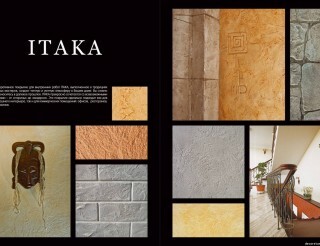 Decorative coating “Itaka” to the “effect of the old walls”, made in the tradition of the ancient masters recreates the atmosphere of warmth and comfort in your home. As though you are transported into the distant past. 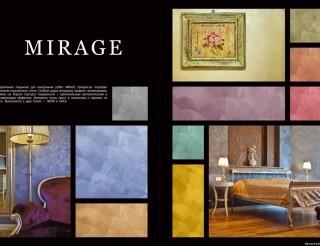 Decorative coating «Mirage» is perfect for lovers of exquisite style. The special charm of the interior gives a unique, similar to velvet, the surface texture with the original metallic and pearlescent effects. 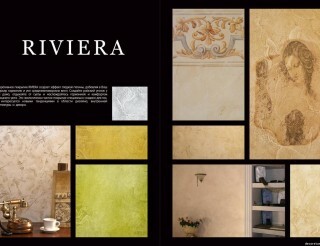 Venetian plaster, acrylic-based «Murano» for interior work, allowing us to obtain high gloss natural polished marble. Easy to apply and it is unpretentious to care for. 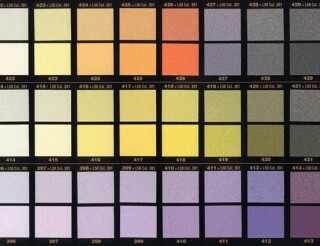 Is colored with universal colorants. 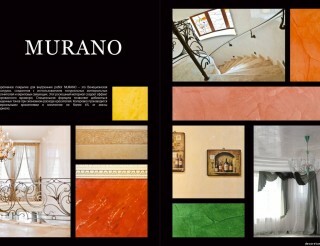 Murano special formula allows reaching saturated colors and shades. 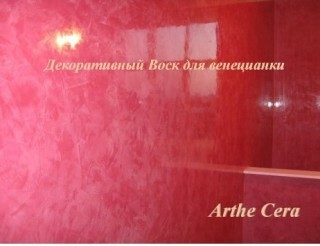 Decorative coating «Sahara» for interior work allow to create any style of interior. The elegant and natural charm coating gives quartz particles and pearlescent base. The material is very easy to apply, available in 2 bases: gold and silver. 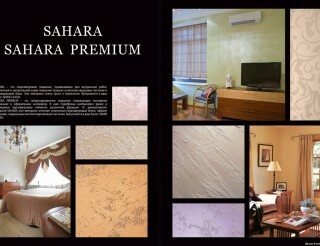 Decorative coating «Sahara Premium» for interior work allow to create any style of interior. The elegant and natural charm coating gives quartz particles and pearlescent base. The material is very easy to apply, available in 2 bases: gold and silver. 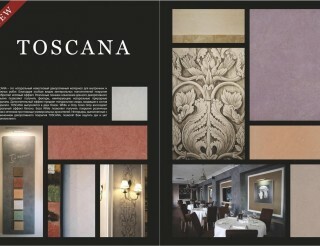 Toscana – is a natural decorative lime material. Due to a special type of mineral fillers, coating acquires a matte effect. 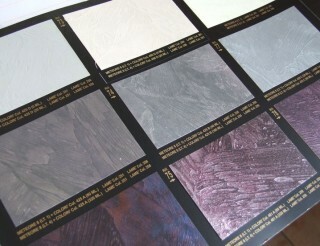 Different application techniques of decorative coatings can receive texture that mimic natural materials. 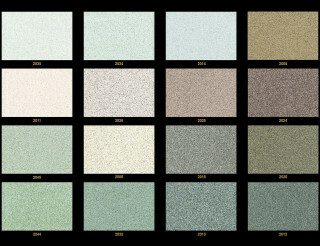 Decorative coating «Travertino Style» is a natural lime coating applied for the external and internal decoration. 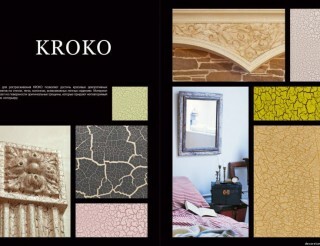 This material perfectly conveys as the a medieval Italian style, as well as effectively fit into the modern interior. 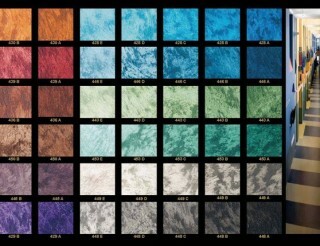 PALAZZO – decorative acrylic facade covering with stone effect. 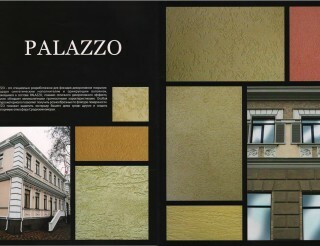 Palazzo allocates exterior of your home among others, has excellent strength characteristics. It allows you to get a variety of texture on the surface. Gel for cracking KROKO allow to achieve beautiful decorative effects on the walls, rods, pillars, all kinds of molded products. Material creates the original cracks on the surface, which gives a unique charm to the interior. 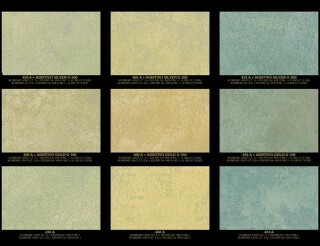 Decorative coating COUNTRY is perfect for lovers of the provincial style. High plasticity of the material allows us to give the most diverse, sometimes intricate, shape of a surface, which makes it possible to simulate the relief of walls in full accordance with your taste. 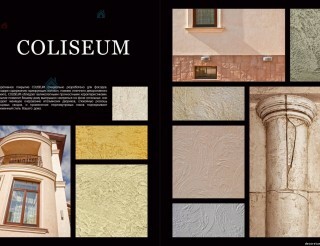 Decorative coating COLISEUM specially designed for facades. Due to the use of reinforcing fibers in addition to excellent decorative effect, COLISEUM has excellent strength characteristics. Decorative coating RIVIERA creates the effect of the smooth patina, adding to your interior harmony and comfort of Mediterranean villas. Create at itself a paradise, for to come home, rest from the bustle, and enjoy the harmony and comfort. 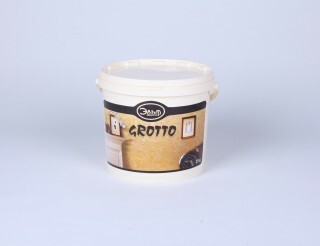 CRETTO – gel for the cracking of the decorative plasters and paints. The ideal solution for rapid “aging” of walls, moldings, doors, etc. Crack size can be adjusted by the thickness of the applied layer. 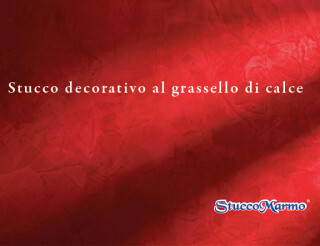 “Decor Wax Murano” special thick wax for processing decorative plasters indoors. 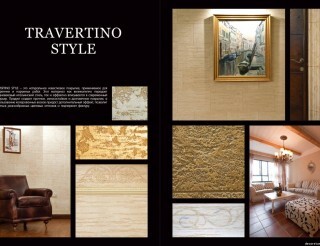 Specially recommended for ” Veneziano”, Travertino Style, Grotto, and others. It forms a water-repellent coating is resistant to dirt. 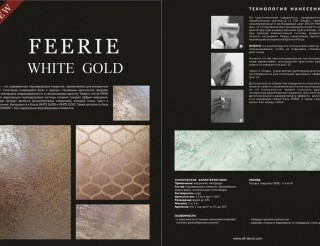 FEERIE it is a modern design surfaces such as plaster, concrete, gypsum, wallpaper, grounds painted with dispersion paints, etc. Round glass crystals associated with acrylate, after drying, form a brilliant, high-strength coating on the walls and ceilings indoors. Finishing material for the interior is extremely dense and versatile. 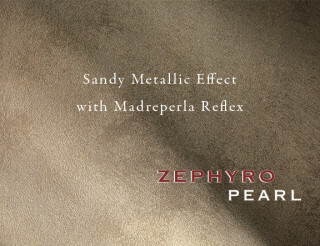 Ideal for creating effects with a variety of advanced metallic and pearl shades. For fans of the essence of the material! 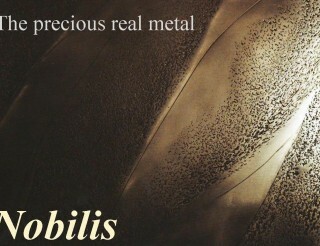 Sabulador, pearl effect coating with sandy beaches used for interior decoration. This picturesque decorative coating with pearl sheen, recreating landscapes of sand dunes or unusual layered rocks of the Grand Canyon. Decorative paint VALPAINT Polistof. 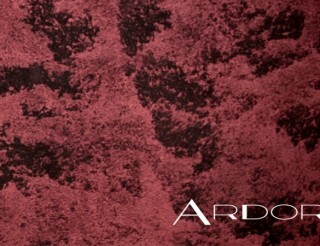 Elegant cover with the effect of velor. It is used in dwellings and in the elements of decorative trim public interiors. This water-based paint for interior coatings, typically modern and elegant. It is applied to various surfaces. KLONDIKE LIGHT allows you to create ultra-modern interiors with unique color effects and undertones. This water-based paint for interior and exterior coatings, typically modern and elegant. It is applied to various surfaces. 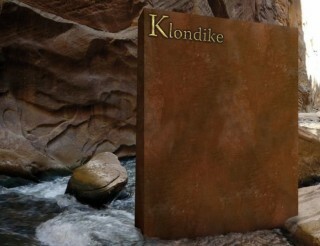 KLONDIKE allows you to create cutting-edge interiors with unique color effects and undertones. 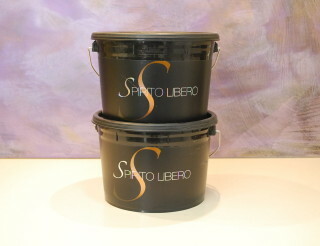 Material Spirito Libero – it’s completely natural, environmentally friendly product that does not contain solvents and solvent. 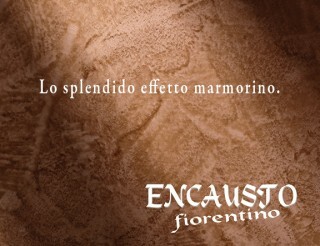 Thanks to its natural composition decorative material Spirito Libero is Allergy and antibacterial finishes. 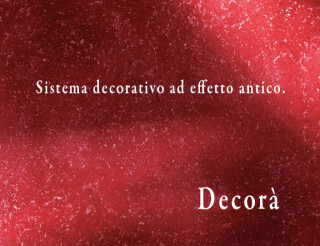 Colore e Gioia – This thin layer decorative material for interiors with a silvery sheen. 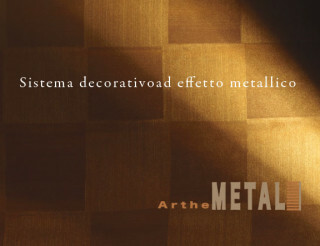 Finishing effect – is a smooth metallic surface with a silvery hue. This decorative material from the company Giorgio Graesan makes the interior bright and unusual. 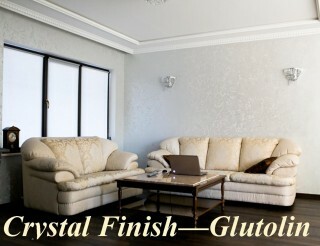 Glutolin CF – a modern design surfaces such as plaster, concrete, plaster, wallpaper base, painted with dispersion paints, etc. Round glass crystals associated acrylate, after drying form a brilliant, high-strength coating walls and ceilings indoors.